If life has taught us anything, it’s the maternal instinct is strong, regardless of the species. When animals are separated from offspring, they often show signs of distress— characteristics The Gentle Barn noticed in a recent rescue cow named Karma. 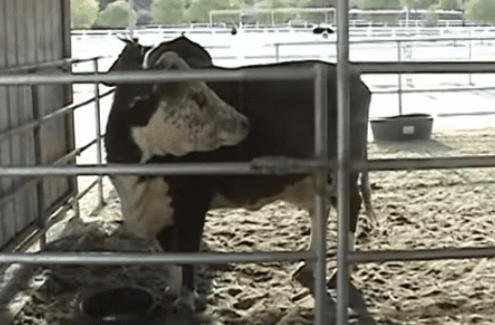 According to The Gentle Barn website, Karma had been rescued from an animal cruelty case where she had no food, water or shelter. 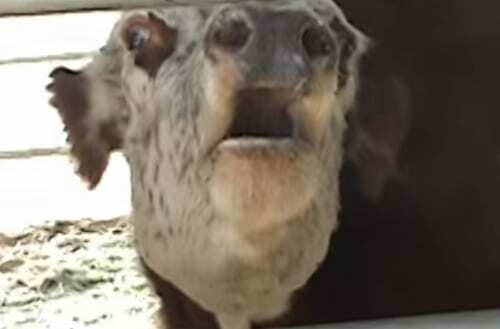 After being rescued, the cow cried through the night at her new home. The next morning, upon noticing milk dripping from her body, staff realized they had left a baby behind. Karma’s previous owners had hidden the calf from the workers, so they could sell him for a profit. 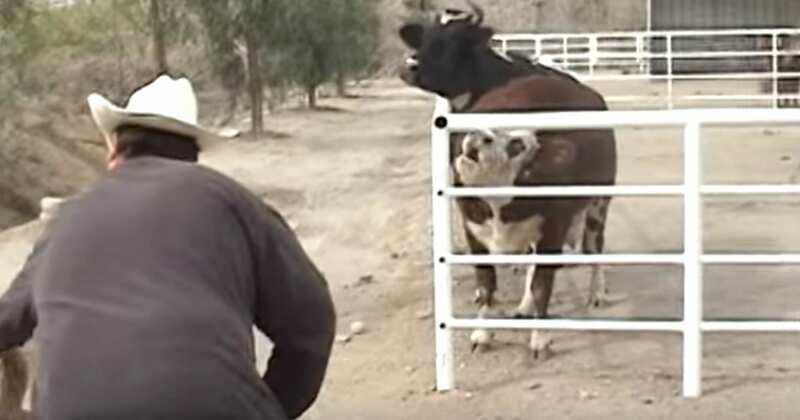 Upon seeing Karma’s distress, rescuers knew they had to step in. Rescuers knew if Karma was in distress and uncared for, her little one probably was too. So, they loaded up the trailer, on a hunt to find him. “Through an amazing set of circumstances, we were able to relocate the baby and reunite them,” their website explains. In the rescue’s touching footage, you see the exact moment Karma is reunited with her baby, Mr. Rojas. 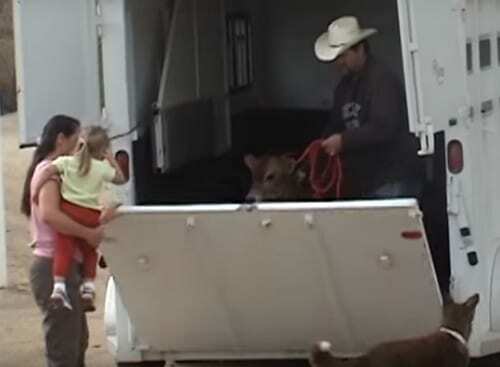 The instant the trailer pulls into the driveway, a hopeful Karma jump to her feet. The distressed mama lets out loud cries, hoping her missing baby will respond from the truck. When a worker leads the starving and fatigued calf out the back doors, she lets out a guttural cry. Mr. Rojas is just as happy to see her mother as she is to see him. At one point, he collapses from the stress and lack of food– but he soon regains his strength and begins nursing on his mom. Since being uploaded to YouTube, the heartfelt reunion has been viewed more than six million times. Watch the emotional video below!